Have you ever been out and about, maybe shopping with a friend, and come across that one thing? The one thing you've wanted for a while but couldn't justify buying? Or that one thing you didn't even know you wanted until it was there, calling your name? But here it is. Right in front of you, begging you to buy it. Even better - it's on sale! But you don't have the cash. So…you put it on credit! How easy it is to whip out the plastic now and worry about how to pay for it (and whether you needed the item in the first place) later. If you want to change that habit, there is an easy and sure-fire way to ensure you never fall prey to the impulse credit card purchase again: Freeze Your Cards! Simply put all those darn tempting cards in a plastic bag full of water, and stick it in the freezer. Then, if you want to make the purchase, you can't do it right away. You have to go home and melt your card first! This gives you just enough time to decompress from the frenzy of impulse buying needs and figure out whether or not it's something you really want to buy. This also works great for the person who loves impulse shopping on the internet (provided you haven't already memorized your card number). If the card is behind a few inches of ice you'll need to melt it to read off those numbers! Happy Freezing, and Happy Shopping everybody! ..it doesn't work for online purchase, I'm afraid. I've long since memorized my credit card numbers, expiry dates, and numbers on the back of the card (that 3 digit security code?) since I check my credit card statements every day. That gave me a chuckle too. I think I saw this on an episode of Becker too. Stupid advice for the weak part of consumerist society. Is to cut up the cards and close the accounts. Thanks for your post. It is an important idea for people struggling with how to use their credit cards. I think the credit card companies have made major inroads, especially with young people, by creating the perception that having a credit card is the best way to establish your credit rating. Certainly making small purchases and paying it off immediately can help establish a good credit card rating, however too many people run into credit card problems. So while they are establishing a credit rating, it is not the type of rating they are hoping for. @Danny: I certainly do believe that you need to establish a credit rating if you plan to do things like buy cars & houses and all the other things we generally need loans for. It's so important to establish a good history before you walk into the bank for that loan. And you're also right - kids are being given credit cards but often don't understand how they're supposed to use them, or don't have the discipline to use them correctly, thus doing more damage than good. As Jtimberman said, you can just control spending by cutting up the cards and closing the accounts, but I wonder if that's a bit short-sighted too. Just because you might have a weakness for whipping out the credit card when you are in ABC store doesn't mean you shouldn't have credit cards at all. I have a horrible memory, and often forget things I need to do, chores, etc. But that doesn't mean I'm too irresponsible to do the vaccuming.....I just need to work around my forgetfulness by leaving notes around the house, or some other creative tool to help keep me on track. I view this little tip as just one of those creative tools to keep us on track if we know we're the sort that can wander a bit. Here is a better way. Don't have any credit cards. This is an interesting point that has been made a few times.....not having credit cards. My own view is that there is no better way to establish a credit history than with proper use of credit cards. How else is the bank going to consider you for a mortgage, car loan, or other big-ticket item that is considered a necessity for which a loan is necessary? 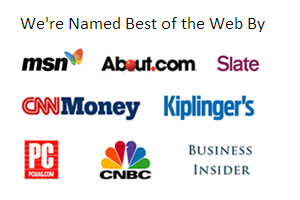 Personally my use of credit cards in establishing a credit rating has been invaluable. I have avoided the need for security deposits when buying a car, gotten super-duper rates on large loans and mortgages, and other perks. I would love to hear how credit ratings can be established without credit cards, or if it's even really that important after all. Let me know! I spent a bit of time trying to get out of credit card debt, and the thing that I did that worked best for me, is that I embarrassed myself out of using them. I taped notes on my credit cards that said "do you really want to take out a loan for this?" on on my debit card that said "you need this money to pay your bills". It was a reminder each and every time I took out the cards, and very frequently the salesperson would read it to me, out loud, embarrassing me in front of whomever I was with, and the other people in line. It didn't stop me every time, but doing that and with a little discipline, I got out of credit card debt inside of six months. Worth a shot. This is an idea I heard about when I was a child. So although I didn't invent the idea myself, I can guarantee you that the website you linked to didn't come up with the idea first either. Im just happy because I finally paid all my CC's debt. When I see a potential unplanned purchase, I simply tell myself that I will buy it tomorrow, after sufficient thought (and possibly research). I think a psychological life-style choice is important. It you need to feel or look solidly middle class, you are lost. I grew up in a time when it was fine to be poor but respectable, with no shame in financial self-control. I'm a college student without a credit card and no plan to ever get one. I was without no debt at all, but this year I finally had to bite the bullet and get a student loan, about 8 thousand. While this is a very creative idea, and makes a lot of sense for people who have credit cards, it is possible to get around without one. Cars: I was extremely bless to be given a car, I've only had to put about three hundred into it so far, and that includes a full check, oil change, and the new lisense plates. But that was a surprise, and my plan was to buy a $2,000 beater that would last me through school till I could save up for a $5,000 one, then a $10,000 and so on. I hadn't planned on going through a dealer. But one of my friend's father recently bought a van that cost about 17,000. He went in with 12,000 cash and walked away with it. They will not let you walk away when you have cash in your hand. Houses: Since I am not out in the "real world" yet and living in college dorms, I have yet to start on my plan for a house. But next year I'll be renting, and the way to eventually get a house when I am ready is to pay each rent early or on time and keep a record of it. To go to the bank for a loan to buy my house, I would have to have at least 20% saved for and bring in all those records I saved. I think the paperwork is called underwritten manuel loan. Not sure about the title though. In any case, how else did people survive before credit cards? There are processes still in place for people who choose to not use plastic. @Elizabeth - I think you may find even though you can produce a 20% down payment, that simply showing records of paying rent will not create a sufficient credit record to quality for a mortgage. Does anybody else want to weigh in on this? Here's a little more information on credit scores and how you are rated when applying for loans and mortgages. Yes, debt elimination scams. That's what I encountered when I was buried deep in debt and wanted to get out. So, now I have learned my lesson. I won't allow myself to make impulse credit card purchases again. Everything is on the budget now. Instead of credit card, I use debit card nowadays! Having credit cards are great because it allows us to make instant purchases without having to pay for these items immediately. 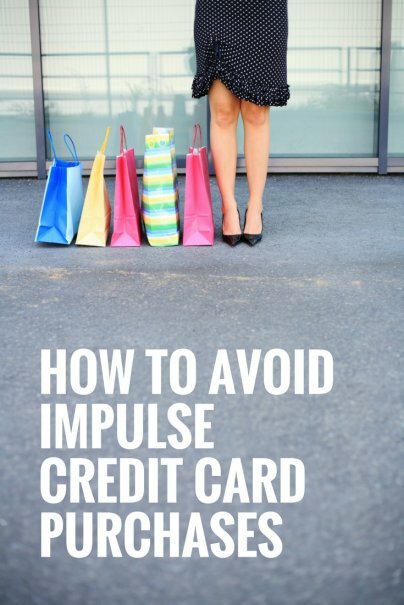 However, impulsive buyers have the tendency to abuse credit cards. Once the bills starts pouring in, their overspending cashes them back to reality. Eventually, they realize that their have to pay for what they have bought.